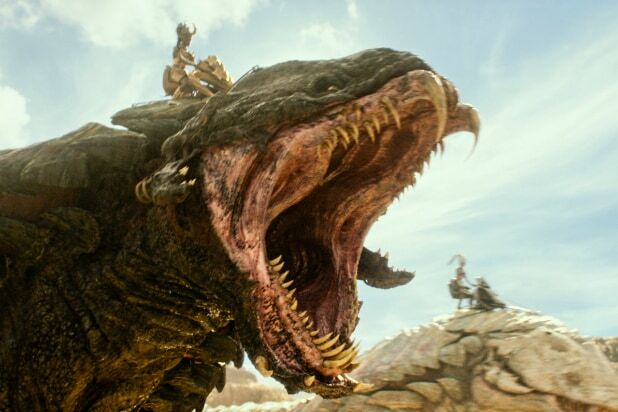 A mishmash of unconvincing visual effects and clumsy writing — not to mention another depiction of ancient Egypt in which the lead roles are almost all played by white folks — “Gods of Egypt” might have merited a so-bad-it’s-good schadenfreude fanbase had it maintained the unintentional laughs of its first 10 minutes. Instead, it skids into dullness, thus negating the camp classic that it so often verges on becoming. In an opening that feels borrowed from Disney’s “Aladdin,” thief Bek steals a dress from a merchant in a crowded bazaar so that his wife Zaya (Courtney Eaton, “Mad Max: Fury Road”) will have something nice to wear to the ceremony where Horus will inherit the crown of his father Osiris (Bryan Brown). 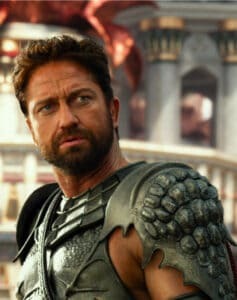 But the movie soon switches to “Lion King” mode, with Osiris’ brother Set (Gerard Butler) killing Osiris and blinding and banishing Horus for good measure. Horus stews in self-pity, ignoring the prayers of his followers, until Bek manages to steal back one of the god’s eyes. Zaya dies in their getaway chariot, and Bek tells Horus he’ll help him get his other eye in exchange for bringing Zaya back from the Land of the Dead. Horus agrees to the deal, even though he knows he can’t deliver on it. The screenplay by Matt Sazama and Burk Sharpless (“The Last Witch Hunter,” “Dracula Untold”) gives the cast the opportunity to bellow lines like, “Mortals: worship me, or be enslaved!” but the performances make you miss the consistently plummy British-ish accents that you’d get in an old Cecil B. DeMille Bible epic. “Gods” offers a mix of Australians (Brown, Eaton and Thwaites, plus Geoffrey Rush — sporting a French-braid Mohawk — as Ra), French (Elodie Yung as a love goddess) and Americans (Chadwick Boseman gives his first bad performance as a fey, self-impressed Thoth, god of wisdom). And then there’s Gerard Butler, whose untamped Scottish accent buries every line of his dialogue under the Pyramid of Groundskeeper Willie. A touch more self-awareness might have rendered his performance an elaborate inside joke, but as it is, he struts and frets across the screen with a misdirected intensity that, like the movie itself, goes from hilarious to tedious.